It is truly a privilege and an honour to have been elected as the 42nd Master of this Worshipful Company. 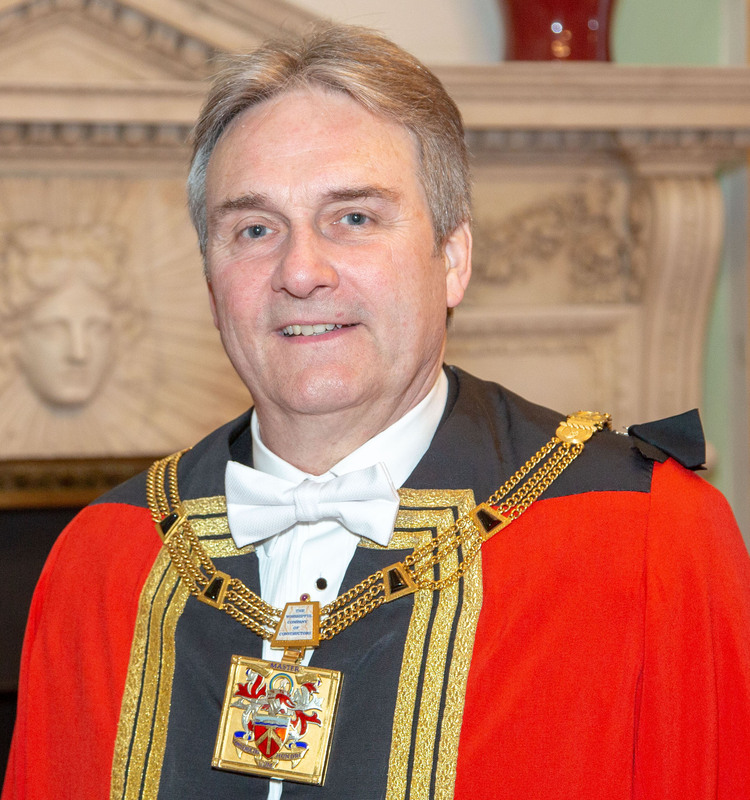 There is no other Livery company in the City that so represents its title, with such an eclectic mix of people who work or have worked in the Construction Industry and the wider related professions. Our company membership is therefore truly reflective upon the people profile of those actively engaged in the wider built environment. We pride ourselves in being totally committed to equality of opportunity for all irrespective of race, colour, gender or sexual orientation and we particularly welcome applications from all people especially where they may be under-represented in the Company. Our average age, which has been getting younger and younger over the years, means that we have at our core some of the most dynamic young talent representing our industry and with an on-going commitment to take in more apprentices and younger yeomanry members (under age 35) the trend of attracting future movers and shakers will no doubt continue for many years to come. This of course is balanced against our growing number of Freeman and Livery members, many of whom have already gained many years of experience and achieved the highest levels of seniority and influence. This year my principal theme will be ‘International relations’. I will also encourage the on-going process of review that maintains the company and its charity on a firm footing for the future in meeting our short, medium and long term aims and objectives by continuing to build a strong company and a strong charity fund. This year also marks our biennial fundraising event and I am aiming to raise an ambitious £50,000 for our charitable trust to increase our sphere of influence in supporting scholarships, helping young offenders back into work and supporting youth to take up apprenticeships in the construction industry and building on mentoring through the Livery Schools link scheme , amongst a host of other initiatives deserving of our support. We would particularly welcome hearing from those members willing to get involved and whose companies would consider supporting us financially through corporate sponsorship towards our charity gala dinner to be held in the iconic Long Room at Lords Cricket Ground in September 2019. A number of our members are already assisting me to help design and build a new church building in Newcastle, which we are aiming to be the first net zero carbon, sustainable ecclesiastical building of its kind in the UK. Particular thanks must go to our members; Architect, Garry Thomas and Doug Kerr at Elementa. My wife Jessica and sons Gavin and Jonathan (Yeoman member) are very much looking forward to supporting this year and helping to bring yet more cultural diversity to a year whose main theme is International relations. In this regard we have arranged for an overseas Masters weekend to Hong Kong which will be attended by senior figures from the British Consulate, we are also grateful for the invaluable help and support of our members Ruth Bailey and Clinton Leeks OBE and the chambers of Sir Oswald Cheung in Hong Kong. We hope you will be able to join us for a memorable weekend 12-14th April 2019. If you are unable to make Hong Kong, Jessica will be planning an event here in the UK around the Chinese New Year and we will also have a second Master’s weekend in Cambridge during the summer. We sincerely hope therefore that there will be something for everyone to attend, including a number of social events throughout the year. We hope to meet and get to know as many of you as possible and to thank you for your continued support of this most Worshipful Company. Of course there are a number of members who contribute greatly to the company behind the scenes, far too many to mention here, but to whom we owe a debt of gratitude and to whom I hope to be able to acknowledge in some way throughout the ensuing year.